The University of Mississippi has committed itself to the core principles required of a great American university: accessibility, leadership and excellence, and service. Here at Ole Miss you will find myriad options for your academic career, including over 100 majors and minors, as well as specialty programs such as the Center for Manufacturing Excellence and the Trent Lott Leadership Institute. The faculty and staff at the University of Mississippi are committed to helping you achieve your academic goals. Ole Miss boasts a 19:1 student to faculty ratio, and many of your upper-level courses will be less than 20 students. Our dedicated team of Academic Advisors will ensure that you have an academic plan tailored to suit your needs. 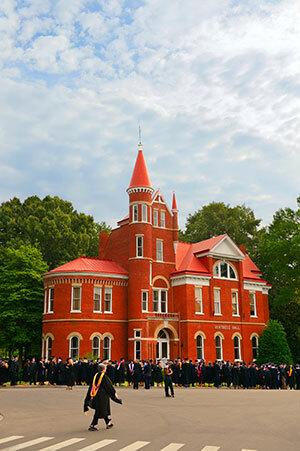 The University of Mississippi is divided into eight undergraduate academic Colleges and Schools, as well as the Graduate School and the School of Law. The Academic Catalog is available online, including the catalog descriptions for the individual colleges and schools. The staff in the Office of the Registrar at the University of Mississippi has worked diligently with all community and junior colleges in the state of Mississippi to develop accurate transfer equivalencies. By carefully reviewing these transfer equivalencies you will know which courses at your community or junior college match those courses offered at Ole Miss, thus allowing for a seamless transition. 8 a.m. to 5 p.m. Monday through Friday. Parking permits may be purchased online 24 hours a day beginning July 1.